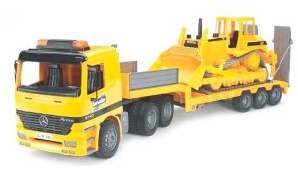 Amazon – Bruder MB Flatbed Truck With Bulldozer Only $27.99 Shipped (Reg. $92.99)! – Hurry! Wow! This was available earlier but I didn’t have time to post it because the price went back up but right now on Amazon you can get this Bruder MB Flatbed Truck with Bulldozer for only $27.99 (regularly $92.99!) This is a LARGE toy and weighs over 6 pounds! Bruder toys are normally over $100 each, so this is a GREAT savings! This will ship for FREE with Amazon Prime or Amazon Mom (sign up here for FREE) and it’s 2-Day shipping! Hurry, this won’t last long! *HOT* Crayola Glow Explosion Spin Magic $3.99 (Reg. $29.99)!!! 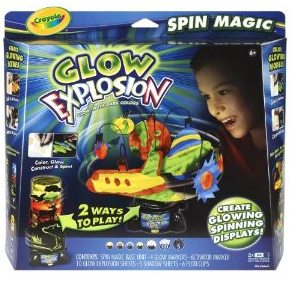 Right now on Amazon, you can get an awesome deal on this Crayola Glow Explosion Spin Magic at only $5.99! (Reg. $29.99)! + Submit for the $2.00 Rebate here Making this only $3.99!! *HOT! * Amazon – Crayola Presto Dots ONLY $5.99 Shipped (Reg. $29.99)! 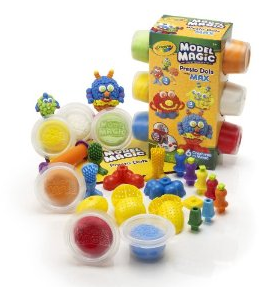 Right now on Amazon, you can get the Crayola Pesto Dots to the Max for just $7.99 Shipped! – Down from $29.99! ALSO, you can submit for the $2 rebate here and it will make your final cost just $5.99! 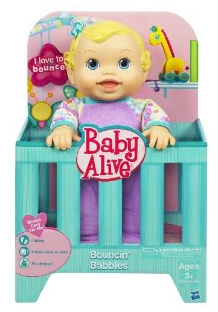 Amazon: Baby Alive Bouncin’ Babbles Doll $14.99 Shipped! (Reg. $30)! 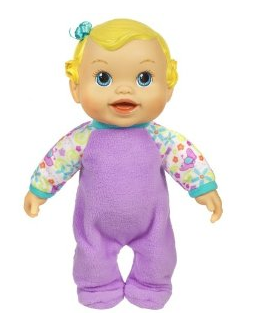 Right now on Amazon, you can get this Baby Alive Bouncin’ Babbles Doll for $14.99 Shipped! (Reg. $29.99). These are really cute and giggle and bounce up and down in the crib! I’ve seen them in real life and I usually don’t like dolls but this is a really cute one! 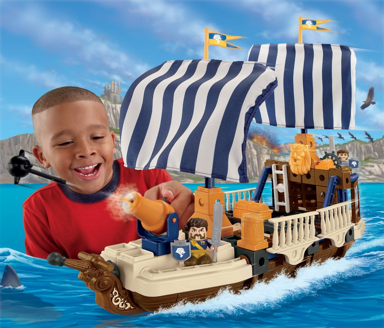 Amazon: Fisher Price Toy Deals – Price Drops up to 75% off! + FREE 2-Day Shipping! These will ship for FREE with Amazon Prime or Amazon Mom (sign up here for FREE) and it’s 2-Day shipping! Up to 75% off! It’s Back! 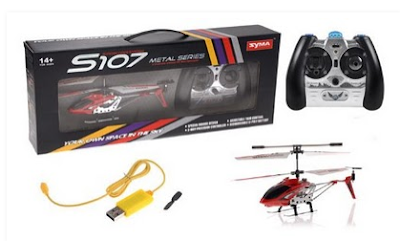 – *HOT* Amazon – Syma 3 Indoor Remote Control Helicopter Only $29.50 Shipped! ($130 Value)! It’s back! – Wow! This is a perfect gift for men or even older boys! I actually got one for my Dad and gave it to him last time this deal was going on and he knows a lot about these and said this is actually a really good one! Amazon has this New Syma 3 Channel S107 Mini Indoor Co-Axial Metal Body Frame & Built-in Gyroscope RC Remote Controlled Helicopter (Colors may vary) on sale for $29.50 (down from $129.95) with FREE shipping through Amazon Prime or Amazon Mom (which you can sign up for FREE) and it’s 2-Day shipping! Woohoo these things are awesome and I know a man in your life would seriously love this…and kids love to watch their Dad’s fly it! *This has over 250 reviews and they are really good reviews and it has almost a full 5 stars!! 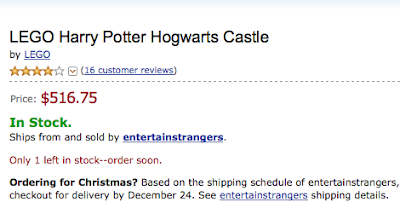 HARD TO FIND – Amazon: *HOT* LEGO Harry Potter Hogwarts Castle IN STOCK HURRY! Some of you may have never heard of this and it may not look like a good deal but those of you that have been wanting to get it….it’s back in stock at Amazon! 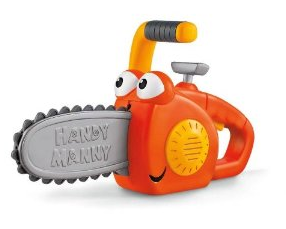 It’s one of the hottest toys of the season and is sold out everywhere! 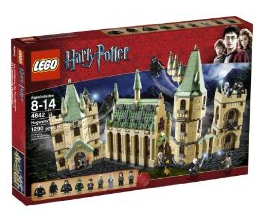 You can get this LEGO Harry Potter Hogwarts Castle for $129.99 Shipped! HURRY – This is sure to go out of stock FAST!! AS YOU CAN SEE BELOW, this is a HOT PRICE!! Because this seller on Amazon has it priced at $516.75!! I saw another had it for over $300 because they are so hard to find! They’ve also sold on Ebay today for $261! 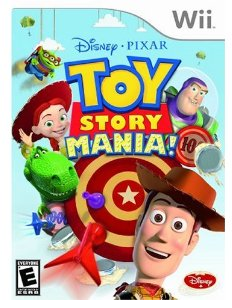 Amazon: Toy Story Mania Wii Game $19.99 Shipped (Reg. $39.99)! Right now on Amazon, you can get this Toy Story Mania Wii Game for just $19.99 shipped (Reg. $39.99)! *Make sure and go through Ebates and search for “Walgreens” because you will get 8% Cash Back on your purchase and a $5 sign-up bonus! You can sign up here or go here to learn more about Ebates! Search “Pillow Pets” once on Walgreens and they will pull right up! 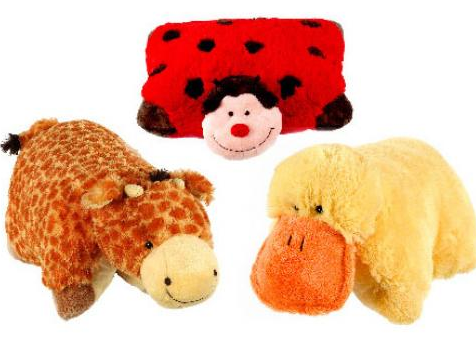 Walgreens online has Pillow Pets marked at $19.99 each. Choose 2 and add to your cart and then add a small filler item, then apply coupon code: TEN40 to save $10 off your $40 purchase! Which makes these $15 each and shipping is FREE! PLUS, they have all the popular animals such as the dolphin! Sorry, please choose another color here this one is sold out.